Should I get rid of my terrier? Should I get rid of my terrier? That’s a question from a heavy heart. Let me retell a story that might help with this decision. It’s a story of two young Border Terriers whose home was at risk. It’s not a story about Bossy and Bark, my own dogs, although it easily could have been. It is a story of “Oscar” and “Scottish”, both aliases, relayed by their breeder, who is also a vet. After it’s telling she said: ‘Now put THAT on your blog”. We hope it helps. And I hope my Breeder/Vet will forgive me any liberties I’ve taken with its retelling. One day not so long ago, my Breeder/Vet friend answered a call from a woman to whom she’d recently sold two pups from different litters. After asking the Owner two questions—which I’ll later reveal—the Breeder/Vet agreed to take Scottish back and rehome him. But she made it clear that the Owners would need to sever all ties to the dog. The Owner would never know where Scottish had gone and there would never be a chance to visit him. Like a Witness Protection Program, he’d disappear and get a whole new life. Probably a new name, too. Sometimes that’s not so bad. The dog gets a re-boot. But it’s still very, very sad when we give up on our dogs and our relationships with them. While Border Terriers aren’t considered to be ‘one man’ dogs and can bond with many people, they DO miss ‘Their People’. So it was agreed. A date was set. Scottish would be returned a week hence. Yet two days before the date, the Breeder/Vet’s phone rang again. So what were the two, pivotal questions the Breeder/Vet asked? 1. Did the dogs have any training? 2. Had you considered walking them one at a time? Had you considered walking them one at a time? Answer: The Owner said that option never crossed her mind but wasn’t against the idea. [That signalled hope for these dogs. An Owner who is willing to give each of their dogs the support he/she needs is on the right path. Raising two young terriers at the same time can be a tough slog especially if terriers are a new breed to you. Handling them one at a time can make a huge difference. Like our kids, each dog is different. Individualized attention is necessary. 1. If you’re at your wit’s end with your dog, seek help. Actually, seek help at the beginning of your relationship with your dog to avoid being at your wit’s end–or find yourself at the dog’s end. Which is often the fate of dogs surrendered to shelters. 2. Don’t expect your dog to figure out our rules if you don’t teach them to him. Just like your toddler. You wouldn’t drop your baby into the world and expect him to figure things out all by himself. Same for your dog. Dogs are astonishing with all they can pick up with so little direction, but we still need to help them out. Especially if there isn’t an older, well-trained dog in the house to show the pup the ropes. Some of our terriers—or their people —might need a bit more support than other breeds. Terriers are different. Many terrier owners face similar issues to what the Owner described with Oscar and Scottish and we can successfully work through them with our dogs. You can be optimistic that your effort will be rewarded with results. If people are willing to learn about themselves and be patient, their dogs can learn. Many of my dogs’ challenges were almost immediately fixed when I changed how I was handling situations. Many Border Terriers are exceptionally smart. They love training if it’s treated as fun and playful and offered with a light, non-confrontational way. Obedience training can actually be a lot of fun if we approach it that way. “Obedience” is our goal but we can get there through fun. Training terriers might take longer than other breeds. Some terrier can be quite stubborn, which is the other way to view tenacity. But they get there and having a well-channelled, motivated and happy terrier who will work with you because you’re both invested in the relationship is one of life’s great joys. It is worth every minute of effort. 3. If your dog is struggling in training, it means you need to keep at it. There are many different training models out there. Terriers are hard-wired to respond fiercely if they feel threatened. Consider this when you select your training method. 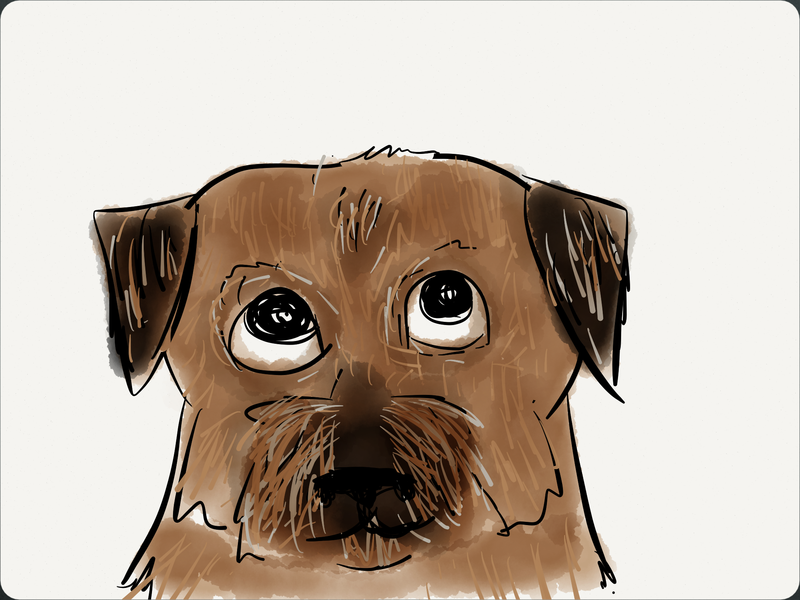 Border Terriers are more sensitive than they look or act. It you are too dominant and tough you’ll activate the terrier’s self-preservation instincts and make your job WAY harder than it needs to be. Finding the balance between firm and calm is the key. Play is a great way to build a dog’s self-confidence and get them to want to do what you’re asking of them. A tough “command and control” style of training might work at times but I’ve found fun is a much faster way to win a dog’s heart and mind. And remember that what gets rewarded gets repeated. The training philosophy that seems to most closely match what I learned through painful trial and error is Kevin Behan’s Natural Dog Training. 4. Dog owners really need to respect public leash rules and not put their dogs in situations that could be beyond their skills. If your dog isn’t trained and “proofed” for instant recall in highly stimulating environments with other dogs, resist the pull to let them go off-leash. Letting dogs go off-leash before they’re really ready will set them up to fail. 5. Buy your dog from a reputable breeder and look to them for support if you run into trouble. If you ever think you need to surrender your dog—and I hope you never have to cross that bridge—go to your breeder or a breed-specific rescue group before you drop your dog off at a shelter. They are better equipped and committed to finding a happy ending for your terrier. They understand and love the breed and likely have a network of allied resources to call upon. 6. Consider your vet as part of your team. While vets are not necessarily behavioural experts they know a lot about dogs. They can help you set some realistic expectations for behaviour and point you toward local support. 7. Don’t give up. On your dog or yourself. This story has a happy ending. A good breeder and owners who were willing to do things differently to get a better result. The future for Oscar and Scottish looks a lot brighter this week. If you’re thinking of getting rid of your terrier for behavioural reasons, get help first. Many dogs can turn themselves around in a matter of minutes, hours or days if their handler can approach challenging situations with a new mindset or use new skills. What I learned: if you can change, your dog can change. What do you think, readers, any other sage advice? 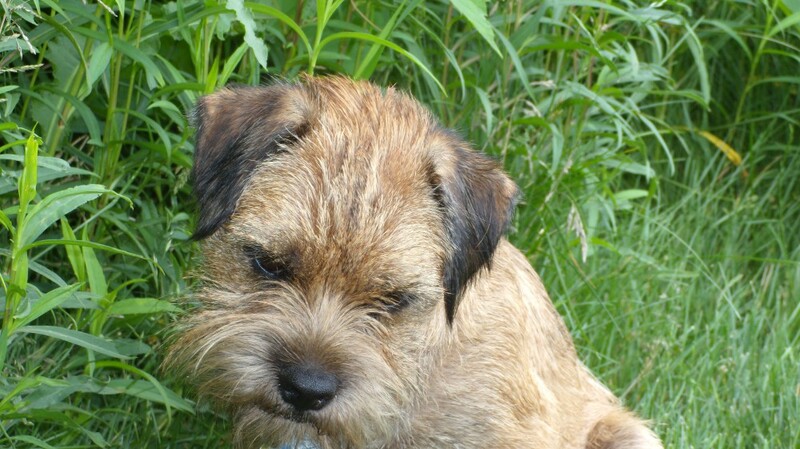 This entry was posted in Behaviour, Personal Growth Via Terriers, Terrier Community, Terrier Fun, Terrier Logic, Uncategorized, Understanding Terriers and tagged animals, Border Terrier, Border Terriers, dog training, Dogs, hope, natural dog training, nature, personal growth, Terrier Breeders, terriers by Toni. Bookmark the permalink. What a fascinating story. Baffi is my first terrier (I grew up with Spaniels) and it took me a while to learn about her terrier ways (as I’m sure it took her a while to learn about my human ways!). She was so different from my spaniels. But I think that’s one of the joys of having a new dog: learning what they need from you and, as you say, teaching them to adapt to the world just as you would teach a toddler (wonderful analogy). Great article Toni – could never imagine giving back my terrier and she can be a handful. But what devotion and love she gives. How lucky we are to have them!